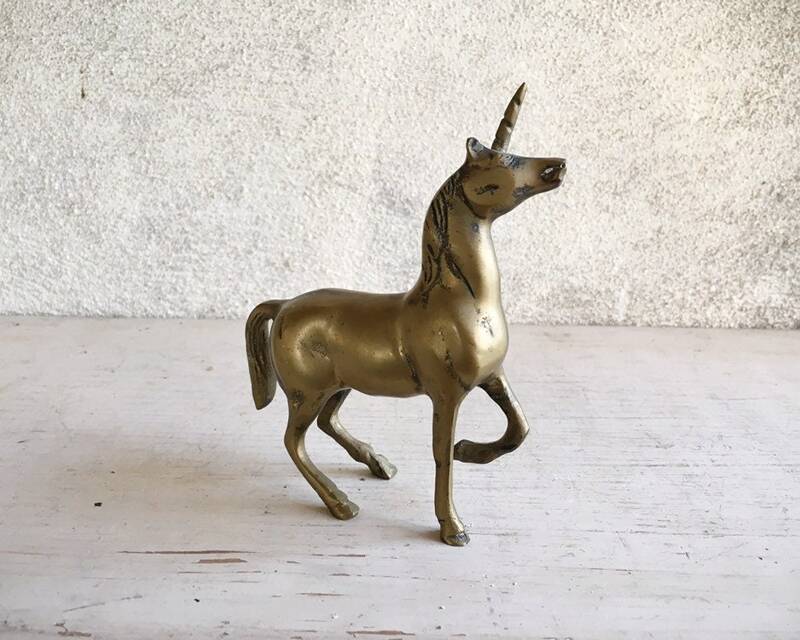 Here is a vintage unicorn statue or figurine, to bring magic into your home. 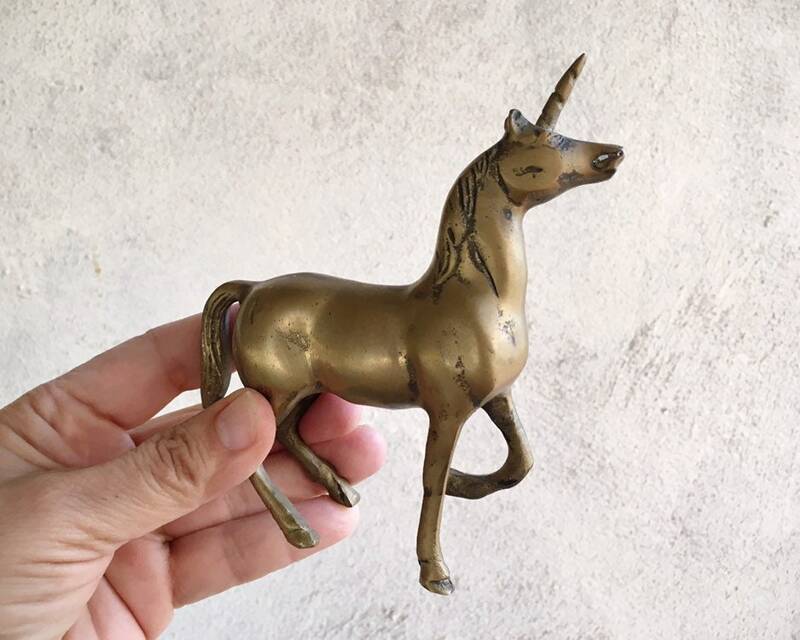 Although, anyone younger than 30 knows that unicorns aren't magic at all--they're quite real and some say that 46% of all horses are unicorns in disguise who take off their horns so as not to cause horn envy. 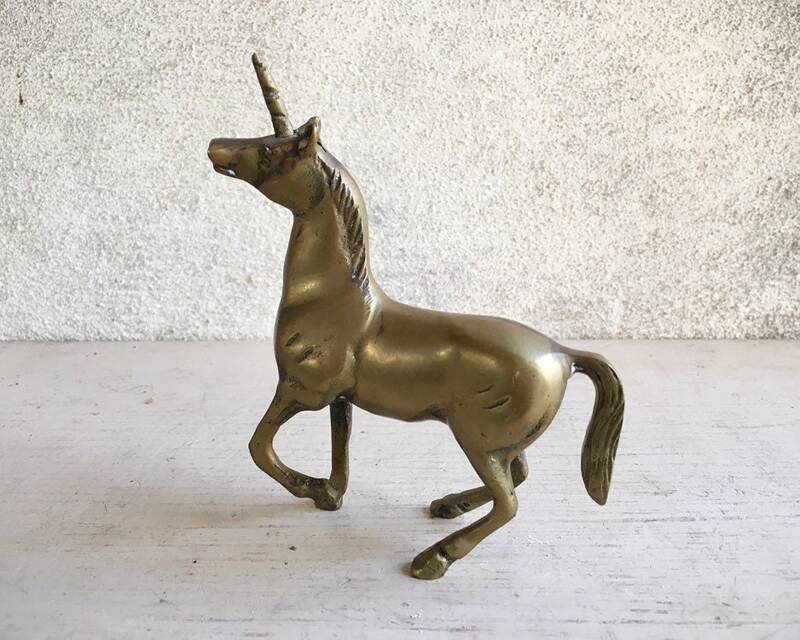 This unicorn is lean and slender, not very big yet spirited, which we can tell by the one raised leg. Plus he balances on three hooves, which makes him not only magical but also coordinated. 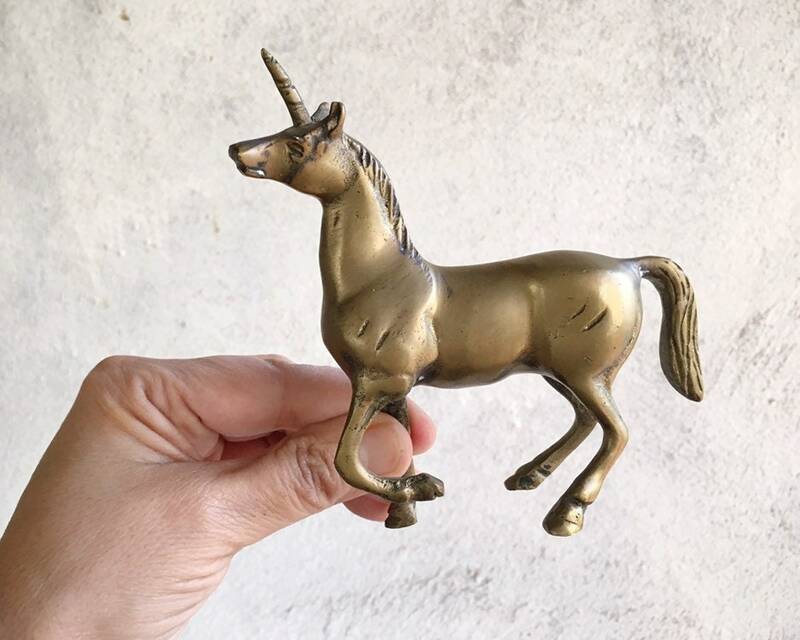 So if you're someone who is an idealist and a pragmatist and lacking in balance, this unicorn is for you. 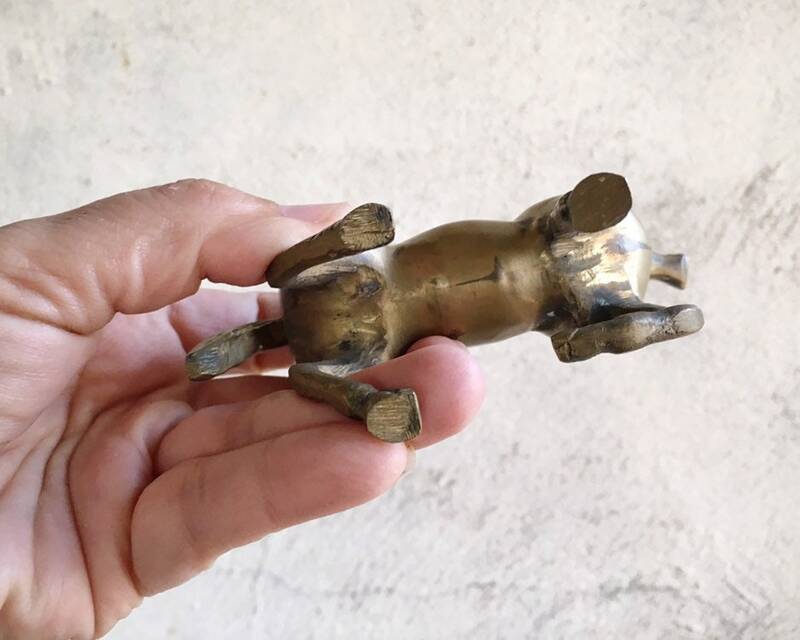 Measures about 5" tall by 4-1/2" wide by just under 1-1/4" thick. A wee bit of white oxidation in creases, which the unicorn likes, as it makes him more humble and grounded. In good vintage condition. Because magic or not, unicorns are cool!